anonymous ads and can accept any kind of blog, and they are like ppv sites, that is it counts every unique visit/traffic for your blog, let's just go through indepth about a-ads.com so you can get pretty basic idea what i need to present? a-ads.com is basically an anonymous ads site which display their ads in our blog/site, basically i prefer a blog, for example take my blog! let's start the procedure and i prefer to post my every tutorial in step wise, so you can clearly understand my strategy! 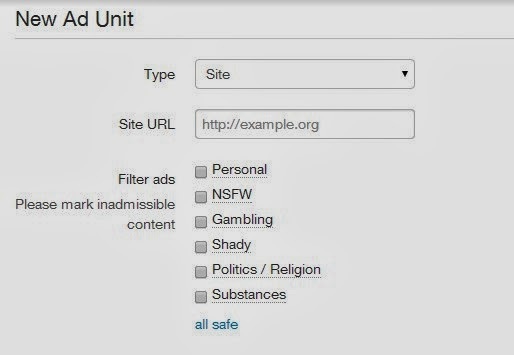 step 1: Register an account in a-ads.com remember that it doesnot store any personal information about you or even ask a username nor password, you need to create an ad unit! just check out the screenshot, and register by selecting appropriate category of your blog/ You can just go anonymously too, but select anonymous in first option rather than site option, in my case, it's site! 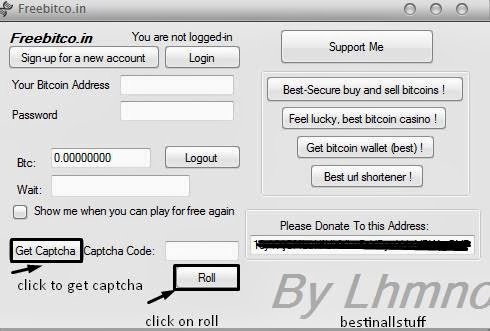 step 2: Select appropriate ad size type, ur btc address and withdrawal threshold, basically it pays when you reach 0.001BTC, but the threshold is 0.0001BTC, after that it will take you to a campaign, where you can see many tabs, info, stats, earnings, rewards, campaigns, etc! step 3: copy the ad-code and paste it in your site, at a good location where your visitors can see it, just after pasting the code, it displays the general ad about it's site! don't worry whatever the ad it shows, it will get counted, just go to step 4 and 5, you will get info regarding the strategy! step 4: so now you got the ad code placed in your blog, i suppose you write some articles in your blog,( if you are/were a blogger) just write up some interesting stuff, and you will get good traffic, for example, check out my stats, just wrote some interesting stuff regarding making money/btc on autopilot and the result i get good traffic, but i posted the best method and i didn't faked anything, that matters and i am still getting good visits to that article, with good referral rate! 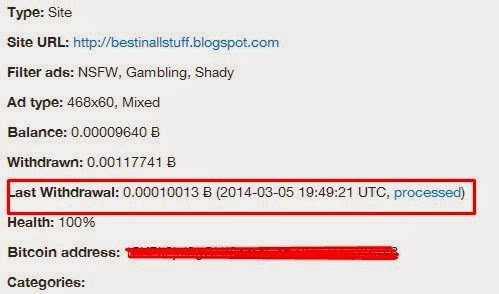 In simple, we will use some bots/sites to get fake/anonymous traffic and target our blog, so we will get good pageviews, and yes every page view with different ip's counts! Swift Viewer 2, Jingling bot alternative, swift viewer is English version fake traffic generator similar to Jingling bot, but in English, so no need to give more introduction/data regarding about this bot! so go ahead and download it, and just paste the link which page you need to bring traffic. Hitleap Traffic Exchanger, you already heard about Hitleap in my previous post regarding make money on autopilot with blackptp , there I gave introduction regarding this traffic exchange site, it do have a bot, which is similar to above bots, but one small difference, you need to paste the site link it hitleap.com. and in order to get hits to your link, you just need to run the Hitleap traffic exchange bot! that's it! Note:i suppose these 3 ways will give a basic traffic strength, and make sure, you don't over do it to make ur account to be banned and we are not responsible in any way! Just use it carefully! as it is of free way to get btc!